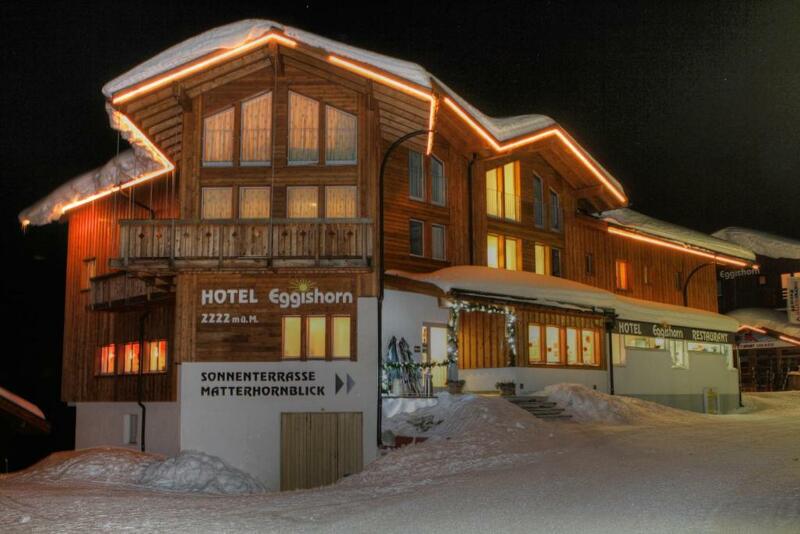 Lock in a great price for Hotel Eggishorn – rated 9.1 by recent guests! We were able to get a later check out time to better accommodate our plans. Dining areas were comfortable at any time during the day to relax, meet up and get refreshment. It was a very comfortable room and hotel much better than an average level you get for an alpine ski retreat. Cuisine was gorgeous at the hotel restaurant with an amazing atmosphere and wonderful meat and wine selection. For those who come to ski, it's located 100 metres away from both cableways and in a nice alpine village which has all essentials for the good skiing or hiking time. Very friendly family owned hotel. We received upgrade for room as hotel was not fully booked. Meals very good and great value for money. Stunning views from room which was very cosy and well equipped. Atmosphere in hotel great with local style and ambience. Would definitely come back again. Great views from the balcony and outdoor seating. So much better to wake up halfway up the mountain to start hikes to view points than staying in the valley. The name was confusing since it is not really at the very top of Eggishorn (it's the first cable car stop) so you can save a little toward the room cost by just purchasing a return ticket to the first Eggis____ area where all the hotels are and then hiking toward the lakes to get a views a little lower but no less spectacular, including the other glacier which would be a destination hike on its own. Many thanks to the staff of Hotel Eggishorn for an unforgettable experience in the Swiss Alps. If one is seeking comfortable and convenient lodging in a Swiss mountain chalet with extraordinary views, the Hotel Eggishorn is absolute perfection. My room was delightful, and the in-house restaurant served tasty food with excellent service. The Eggishorn gondola station is conveniently located steps away from the hotel. While the pretty village of Fiescheralp is small, it is also peaceful and relaxing and offers good services for its size. I look forward to returning in the future. The service was excellent and all the hotel personnel were great! In general very nice atmosphere in hotel! Awesome view, very good location if one wants to go to Eggishorn and/or Aletsch. The Rösti is perfect :) Gluten free muesli+. Also good place to acclimatize. Sehr nette Bedienung und gutes Essen. Die Lage ist toll. Het uitzicht is met geen pen te beschrijven, dit is een van de mooiste plekjes in Europa. Hotel Eggishorn This rating is a reflection of how the property compares to the industry standard when it comes to price, facilities and services available. It's based on a self-evaluation by the property. Use this rating to help choose your stay! Hotel Eggishorn is directly on the ski slopes, at 8 feet above sea level. The large sun terrace offers a view of the Matterhorn and Wi-Fi is free in public areas. All rooms at Hotel Eggishorn have a private balcony and cable TV. The bathrooms have a shower cabin and hairdryer. All rooms are nonsmoking. Regional dishes, drinks and snacks are served at the restaurant, and there is an après-ski bar during the winter season. The Fiescheralp cable car is 350 feet away and a ski shop can be found on the ground floor. The ski school is just 150 feet away. This property also has one of the top-rated locations in Fiesch! Guests are happier about it compared to other properties in the area. When would you like to stay at Hotel Eggishorn? This room includes a private bathroom, cable TV and a balcony overlooking the mountains. This spacious room includes a private bathroom, cable TV and a balcony overlooking the mountains. House Rules Hotel Eggishorn takes special requests – add in the next step! Other Hotel Eggishorn accepts these cards and reserves the right to temporarily hold an amount prior to arrival. Hotel Eggishorn accepts these cards and reserves the right to temporarily hold an amount prior to arrival. Please note that the hotel is only reachable by cable car from Fiesch. The Fiescheralp cable car stop (middle station) is 350 feet away from the hotel. Nothing to complain about at all! I loved everything about my stay. A word of caution for people who are sensitive to high altitude: Fiescheralp is located at 7,257 feet above sea level, and the gondola lifts you quickly to that elevation. Those affected by high altitude should prepare for the thin air by acclimatizing before an overnight stay at this elevation. The drama and serenity of the landscape is worth it, just take good care of yourself and drink lots of water. The soap/shampoo was packed in a way it could not be opened with hand, that was pretty upsetting. Even though there were gluten free muesli, there were no lactose free "milk drink" options, and there was no gluten free bread placed outside.